Searching for something to watch on ICE, Emirates airline’s in-flight entertainment system, I stumbled across the documentary “In Search of Greatness”. The title immediately caught my attention as I’m always interested in how standout members of society — whether from sports, business, science or arts — did what other didn’t. How it is that some people achieve a level of greatness that others are scared to even dream about has long been a fascination of mine. Intrigued by the documentary, I closed my laptop and devoured every second of the next 80 minutes. The film explored the role of creativity in the careers of some the world’s greatest athletes, both historical and contemporary, including icons such as Serena Williams, Tom Brady, Muhammad Ali, Rocky Marciano, Red Auerbach and Michael Jordan. As I watched, I began to wonder: does greatness really come from effort in practice? In the documentary, Roger Federer is shown warming up for the US Open. He has his ball boy hold a hand up on the other side of the court and the tennis champ proceeds to spend the next hour trying to hit it. 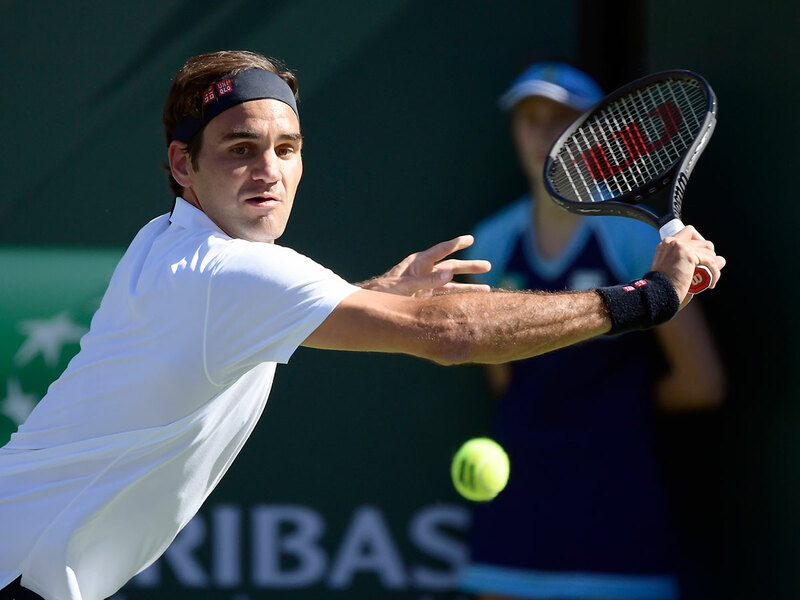 A little too high, a little to the right, a little too low — as Federer begins hitting the ball, his shots miss the target time and again. But he is undeterred. He keeps hitting stroke after stroke and eventually, his discipline and patience pay off. With a precision-perfect volley, he strikes the ball boy’s hand and from then on, with every swipe of the racket, it’s impossible for him to miss. At the time, Federer was the world’s number one in men’s tennis. Did he need to practice his basic strokes? No, of course not. Yet, as others simulate games in warm-up, that’s exactly what he does. He practices the basics over and over. Federer is not alone. The best athletes all have consistent practice routines that they follow down to the smallest detail — almost superstitiously — before every game. They practice when others simply stretch and warm up. When was the last time you practised? I’m not talking about sports, I’m talking about your job. When did you last take time to practice your leadership skills? Greatness comes from pushing yourself even when you don’t need to. Perfecting and obsessing over the little things when others would just move on is what separates the champion from the challenger. “In Search of Greatness” made me sit up and take note. It made me realise just how easy it is for us to think we are good enough and save ourselves the trouble of becoming the best we can be. Greatness is born out of practice — from repeatedly performing an activity or skill so you can acquire, maintain and even master it. Take another example: Wayne Gretzky retired as the leading scorer in US National Hockey League history in 1999. When he was a teenager, his friends invited him to the movies one Saturday. He declined. “I’d rather spend two hours in the backyard shooting pucks,” he said. He wanted to practice. That’s what he was happy doing and it is what earned him the nickname, The Great One. The stories of Gretzky and Federer are not unique to them; similar tales emerge when you probe the habits of the world’s greats — whatever their profession. How do they do what they do, and make it look so easy? Those waiting for a long-held secret to be revealed will be disappointed, for the answer lies in hard work and hour after hour of painstaking practice. Average athletes and average leaders know the mechanics of what they are doing, but it’s through decades of disciplined practice that the greats earn the freedom to do things that others simply can’t. Sure, practice can be boring — it’s never as fun as the actual game. But, as the greatest names of all time can attest, nobody becomes the best without first shedding their fair share of blood, sweat and tears. Tommy Weir is CEO of EMLC Leadership Ai Lab and author of “Leadership Dubai Style”.